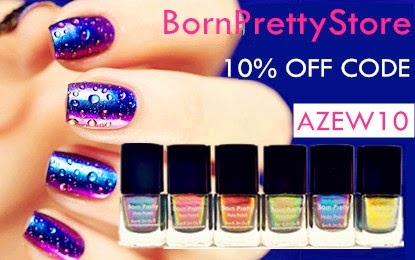 Heyo Lacquer lovers! Happy first official day of winter or Happy Winter Solstice whatever you reffer to it as! Again it's later than my posts normally are but it's just a few days until Christmas so just like in almost everyones lives things are cray cray! So last night I was using one of the gift cards I got for Christmas to Tim Hortons and I got a Holiday cup. Now I always love Tim Hortons Holiday cups but this years are my favorite. 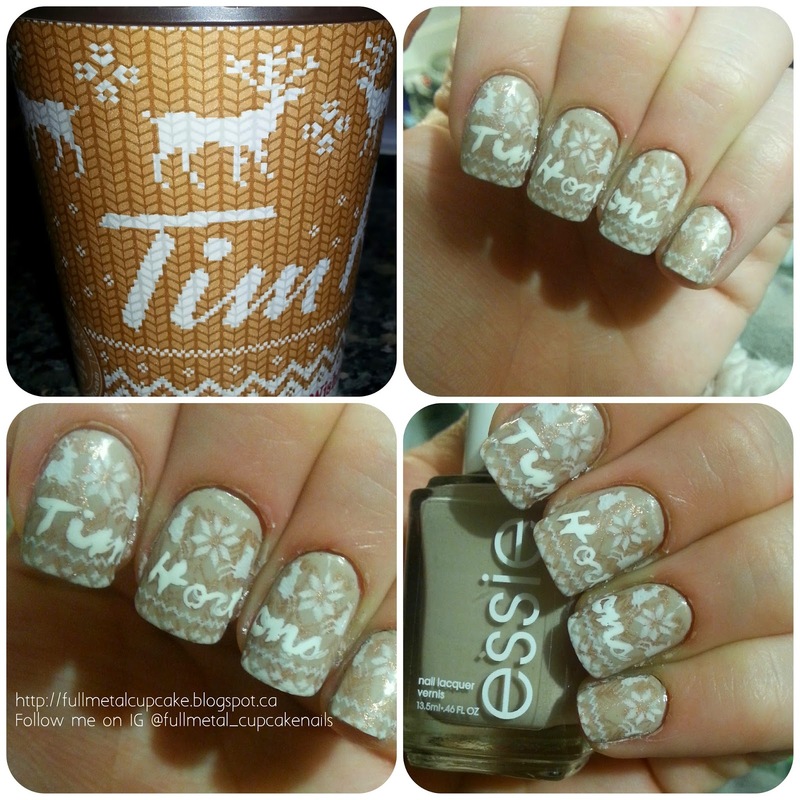 I love the Christmas sweater patterns which most of you will probably know as I've done a few nail arts with sweater patterns already this winter season. So to recreate this cup I used Essie Sand Tropez as a base which I then stamped a knit like pattern over in Copper Penny by Revlon. 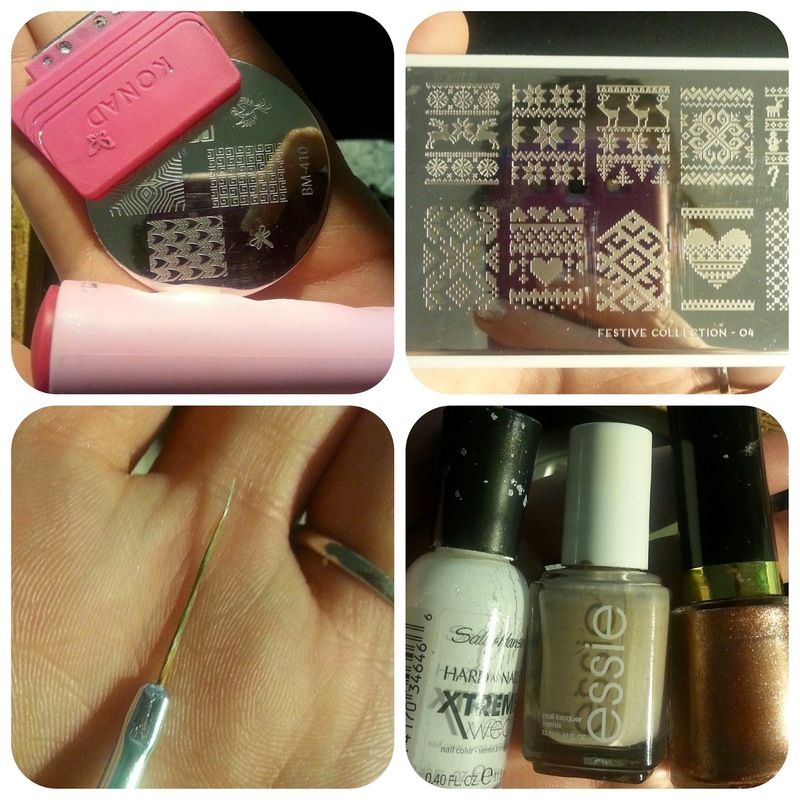 I then used Sally Hansen White on to stamp the other sweater accents on the tops and tips of the nails. The last step was to hand paint the Tim Hortons name onto the nails for this I used Sally Hansen white on as well and a super super fine liner brush. Hope you all enjoy my nail art today. I wanted to express my Canadian love and Tims is definitely a Canadian icon (I know Burger King pretty much owns it now but yea). Thanks for stopping by today guys, hope to see you again tomorrow! Happy Holidays!